Am new to WordPress, when I upload any image, WordPress automatic crops into its own sizes which I have not mention in the media section (Settings » Media). How this thing is happening? As you already know that, from /wp-admin/options-media.php, you can change the default size's dimensions too. So you can still use the default sizes for your custom purpose. But if you still need a new size other than the three, WordPress allows you to add new image sizes too. 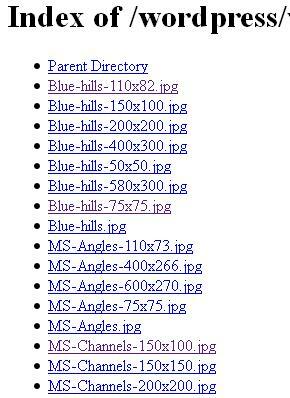 WARNING: As, by default WordPress is generating 3 customizable image sizes, it's creating 4 files for each images. Using more new sizes will increase the number of files into your site host. So, using more image sizes will be a matter for your site's host-space issue— it'll consume more site spaces. In reality the newly assigned image size can be available only into newly uploaded images. So, to get the new size for all the previously uploaded images too, you will need the plugin to be installed and regenerate all the thumbnails again. It'd be one-time measure that would last forever*. As you are already suggested, if your plugin use a similar add_image_size() function, it can create a new image size. So after disabling your plugins, if you use the Regenerate Thumbnails plugin to regenerate the thumbnails, then you will get the actual sizes. If that doesn't help, then check your theme's functions.php or any added functions file for such add_image_size() function, and now you know what to do. Yes, WordPress resizes & crops all images depending on what your theme defined as @Gerard already explained in his answer. So the last boolean argument for add_image_size() is to crop or not. Note that this doesn't define the crop position. To alter that behavior look at this answer for example. As you've already seen in the source of add_image_size(), WP uses the global $_wp_additiona_image_sizes to store & handle the settings for your image generation. Now, when you upload an image, the class WP_Image_Editor comes into game and - depending on the PHP extensions enabled on your server - either calls WP_Image_Editor_GD or WP_Image_Editor_Imagick. Now both Singletons have a resize() method which calls image_resize_dimensions(). At the end, image_resize_dimensions() does not resize or crop the image. It just calculates the values. This is done by the method crop() in the Imagick class and by using PHPs native imagecopyresampled() inside the GD class. detect which class is in use (which PHP ext. is supported) and then intercept whatever is used to crop (see above). Short circuit the whole process and let image_resize_dimensions() do it's work. We'll use the later method in here. Feel free to add your own solution as separate answer. Here's what core offers us: A filter holding all parameters. Now to just disable crop we'd have to replace (in other words: clone) the whole internals - something that we want to avoid. Therefore we're using a "one time filter" that disables itself. We're doing that to use the internals, but just get rid of what we don't need. Now cropping is disabled everywhere. If you're running multisite or you don't want to think about if this plugin is enabled, simply go and use it as a mu-plugin. Please keep in mind that above is not tested, but written off of my head after reading core source. More info about the image handling classes in the slides of Marko from WordCamp Europe and the video of the presentation can be found on WordPress.tv. I don't recommend you to remove the code if you really want to keep the good working of your theme. If you want to remove it, you will need to delete the calls in the other files where it is used; commonly in the file loop.php. Plugins and Themes can define their own thumbnail sizes. WordPress will convert all newly uploaded images to all registered size definitions. Not the answer you're looking for? Browse other questions tagged image-resize cropping or ask your own question. How can I make add_image_size() crop from the top?